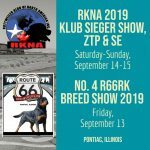 FCI Breed History › Rottweiler Klub of North America Inc. They marched over the Alps with the Roman legions, protecting the humans and driving their cattle. In the region of Rottweil, these dogs met and mixed with the native dogs in a natural crossing. 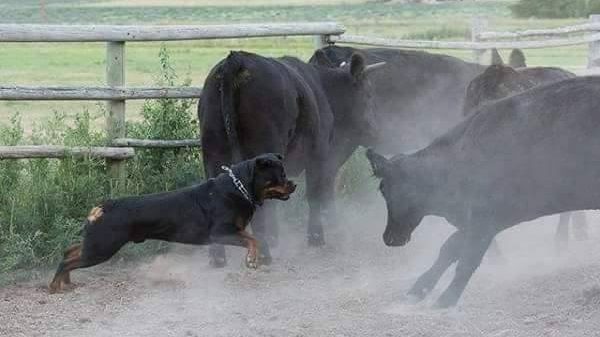 The main task of the Rottweiler now became the driving and guarding of the herds of cattle and the defense of their masters and their property. This breed acquired its name from the old free city of Rottweil and was known as the Rottweil butcher’s dog. The butchers bred this type of dog purely for performance and usefulness. In due course, a first-rate watch and driving dog evolved which could also be used as a draught dog. When, at the beginning of the twentieth century, various breeds were needed for police service, the Rottweiler was amongst those tested. It soon became evident that the breed was highly suitable for the tasks set by police service and therefore they were officially recognized as police dogs in 1910.